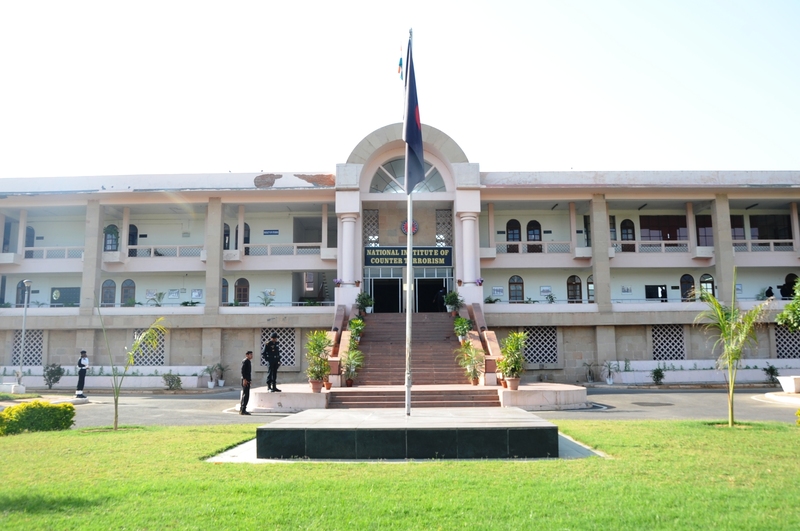 The Training Centre was raised on 15 Oct 1985 for training of NSG Probationers and Capacity Building of State Police Forces, it has since evolved to face the growing and multi facet threat posed by terrorism. As a Centre of National repute of the exclusive federal CT Force of the Nation it is the most comprehensive and sought after Counter Terrorism training institute in the Nation forged by the healthy amalgamation of the best of both the CAPFs and Indian Army units. Its emergence as the defacto Centre of Excellence for Urban CT, Bomb Detection and Disposal of the country is testimony to the high standards of training being imparted. The Centre is an apt example of seamless synergy and cooperation between the Para Military Forces and the Army. The Centre imparts world class CT skills to include, Bomb Disposal/ Counter IED training and a host of specialist courses. It also conducts Joint Exercises for CAPFs and State Police Organizations as well as CT Force from Friendly Foreign Countries. The Training Centre has earned a niche for itself as an elite Counter Terrorism training establishment of the country.